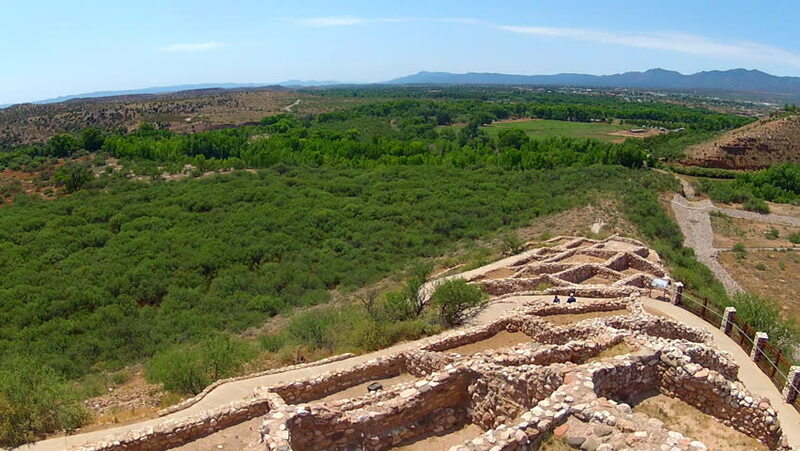 An ultra wide shot of the south side of Tuzigoot National Monument Native American village ruins near Cottonwood, Arizona. In the distance the Verde River Riparian region and the Verde Valley. hd00:09The jiankou to mutianyu section of the great wall of china in near beijing. man made wonder of the world.